By being proactive and doing some advance planning, aspiring MBA candidates can remove a great deal of stress from the business school application process and substantially bolster their candidacy. We have several big picture recommendations for applicants to consider to help them be as competitive and prepared as possible when admissions season begins in earnest. Few candidates realize that starting to visit campuses as early as late winter or early spring is a great way to learn about and establish interest in specific schools. Campus visits are not just opportunities for you to “register” with a program’s admissions committee but are also a time for you to gain a deeper, firsthand understanding of various academic methodologies and social environments. Such visits can also prepare you to write far more targeted and informed essays when the time comes. After all, you can only learn so much about a school from its website. Many candidates have trouble honestly and sincerely articulating their post-MBA aspirations, and virtually every business school requires that candidates write an essay that discusses their short- and/or long-term career goals. So if you hope to enter a competitive field, such as banking or consulting, now would be a good time to conduct informational interviews or even job shadow an individual for a day, if possible. The admissions committees frown on vague goal statements or generic claims that lack a profound personal connection to a position and are therefore less credible. By connecting with and learning from people in the position and/or industry you are targeting, you will gain insight that will imbue your stated career goals with sincerity and authenticity. A rather overt measure you can take to bolster your candidacy is stepping into a leadership role in your community, if you have not already done so. The earlier you take this step, the more time you have in which to create a track record and show that you are a substantive individual outside of the office. If you instead wait to start volunteering until the fall, your contributions will seem far less sincere, and you will not have sufficient time or opportunity to have the kind of profound experiences that lend themselves well to business school application essays. When identifying a volunteer activity in which to involve yourself, first and foremost, select an organization about which you feel legitimately passionate. If you are genuinely excited about the cause or organization you have chosen, you will be more committed to it, enjoy a more meaningful experience, and have a more heartfelt story to tell about it. Ideally, your community experiences will both complement and supplement your profile. They can reveal a true passion for your field (complementary) or shift the admissions committee’s perspective on you (supplementary) and help differentiate you from other applicants. For example, an accountant who volunteers with Junior Achievement shows a commitment to his professional path and his desire to give back in this area, thereby complementing his existing profile. The accountant who coaches soccer in his community offers a new window on his personality and abilities, thereby supplementing his profile. Although a solid commitment to any cause or organization will be helpful to your candidacy, the more esoteric the organization, the more distinct and memorable your story. You should not volunteer for a completely obscure organization just to be different, of course, but if you are truly passionate about a less conventional cause or hobby—antiquities preservation, for example—you should consider volunteering in the field, thus increasing your opportunities to discuss this unusual interest. Regardless of the focus and nature of your volunteer/community activities, strive to make an impact and show true leadership in doing so. If you can accomplish this, you should be able to add a valuable new dimension to your business school application. Your personal achievements can also differentiate you from others in the applicant pool by offering a far more diversified and remarkable picture of you. Start focusing now on accelerating the timeline of any endeavors or goals you have been actively pursuing. For example, if you have been intending to publish a certain article and are close to completing a final draft, do the work necessary to finish it sooner rather than later. If you have been working toward earning your CFA designation and have only Level III of the exam left to pass, be sure to take that final test this year. If you can run 20 miles and have been dreaming of completing a marathon, do it this year. We are not suggesting that if you have never run a mile in your life that you start training for a marathon now, but if you are close to achieving a goal and would likely do so naturally after your applications are due, accelerate your timeline so that you are able to reach it before the schools’ Round 1 deadlines. Bolstering your academic profile through additional course work can be equally important. Many candidates fret about their poor undergrad performance and feel that they are powerless to change the admissions committee’s perspective on their academic aptitudes, but MBA programs are actually far more forgiving of previous educational issues than other graduate programs are. Most applicants’ academic experience is far in the past, and their GMAT/GRE score, references, and work experience are better indicators of their potential for success. This is not to suggest that poor grades do not matter, rather that poor grades can be mitigated. If you do not feel confident about your past academic performance, consider enrolling in additional course work immediately. In particular, if you did poorly in math courses (even if your overall GPA is quite high), the admissions committee may have some concerns about your ability to manage a heavily quantitative workload, so you should look into taking a calculus or statistics class. To show an aptitude for management studies, you might take an accounting, economics, or corporate finance class. But simply taking the course(s) is not enough—to effectively show that you have an aptitude for the work and that you take your academics quite seriously, you will need to get an A grade in any class you undertake. mbaMission is the leader in MBA admissions consulting with a full-time and comprehensively trained staff of consultants, all with profound communications and MBA experience. mbaMission has helped thousands of candidates fulfill their dream of attending prominent MBA programs around the world. 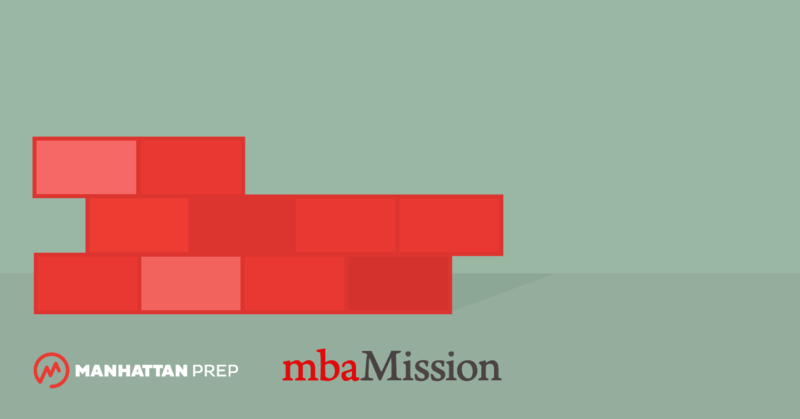 Take your first step toward a more successful MBA application experience with a free 30-minute consultation with one of mbaMission’s senior consultants. Sign up today!